Dan Solove and Neil Richards have just published a terrific article, Rethinking Free Speech and Civil Liability, 109 Columbia Law Review 1650 (2009) (SSRN version here). My response to the article has been posted at the Columbia Law Review Sidebar site. Solove and Richards propose a new test for determining when the First Amendment applies to the imposition of civil liability, an issue that has confounded courts and commentators. The issue has not received nearly the attention it deserves. The First Amendment intersects with civil laibility in a variety of contexts, including contract (enforcement of confidentiality agreements, speech-restrictive housing covenants, and government contracts), tort (defamation, privacy, and public disclosure), and property (enforcement of civil trespass laws). Solove and Richards claim that the key to the free speech-civil liability puzzle lies in the type of power the government is exercising. When the state, rather than the parties, defines the content of a mandatory social duty, they claim that the First Amendment applies. The essence of my brief response is that not all mandatory duties pose substantial First Amendment threats. Thus, the nature or character of the social duty is critical to determining whether the First Amendment is imperiled by the imposition of civil liability. I focus on examples from tort liability to make this point. While I might draw some different boundaries than Solove and Richards, I find much to praise in their approach. Among other things, it avoids getting bogged down in the unhelpful state action doctrine, highlights a distinction between power-as-regulation and power-as-facilitation, reminds us that civil liability can be as dangerously suppressive as other forms of government regulation, and appropriately preserves ample space for speaker autonomy and choice. I enthusiastically recommend the article, in particular to those interested in First Amendment issues but also to anyone who teaches a course in torts, property, or contracts. Solove at the Co-Op writes: "[P]eople might not be pleased to know precisely where on one's relationship matrix they stand. Jack might think he's good friends with Jill, but Jill might classify him as merely a distant acquaintance whom she merely wants to associate with for the purpose of climbing hills." And why is this a problem? Shouldn't we have an ethic of being honest with people about how we feel about them? Wouldn't we avoid more pain in the long term if we didn't string people along with false gestures of friendship, only to betray them after reliance? Some have criticized my work on friendship and the law -- especially my most recent "Friends as Fiduciaries" -- because my proposals might encourage people to be brutally honest when no friendship exists to ensure that no legal duties follow from otherwise ambiguous relations. I think it is true that having legal duties flow from friendship might (at the margin) lead to this sort of honesty but I don't think it is a bad thing. Aristotle might have been right that most tension in relationships comes from people not thinking of each other with the same degree of intimacy, so I'm all for an ethic of honesty in friendship. Blogging Harriet to Death? Or, Why the President Should Be Nicer to His Aides. Bush usually reserves his celebrated temper for senior aides because he knows they can take it. 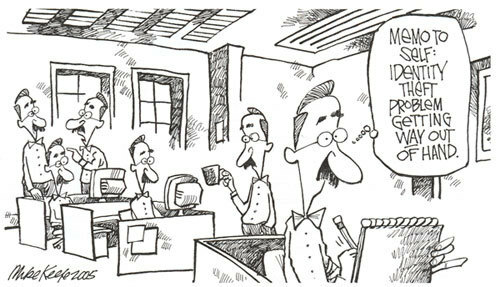 Lately, however, some junior staffers have also faced the boss' wrath. But really, I tend to think that Internet or no, Miers' nomination was fated for trouble. All of the ingredients were present: (1) nominee close to a politically weak president; (2) with more-vulnerable-than-average paper credentials; (3) beset by possible ethical problems back home; (4) with no constitutional paper trail; and (5) no real base of support in D.C. or regionally. The internet-effect goes to the timing of the trouble - now rather than at the hearings - and, perversely, this is probably good for the President. At least in today's world, there is a chance that Miers will withdraw prior to the hearings, preventing political pain before most Americans begin paying attention to the nomination. And let's not forget: most Americans have learned very little about the nomination thus far, because most Americans have better things to do than read her judiciary questionnaire, read any of the ten thousand and one posts on that and other topics, or surf the electronic futures market predicting her chances. For example, there are still hundreds of thousands of Americans displaced by hurricane katrina, some of whom recently faced the agonizing decision of whether and how to declare personal bankruptcy ahead of changes caused by the new legislation. If none of this information had come out until the hearing, under the krieg lights and before the American people, then the President could be faced with problems similar to those his father was forced to confront during the Thomas nomination. (Imagine, by the way, what that process would have looked like today. Would Justice Thomas have withdrawn under blawgospheric fire? Would there have been attacks like those directed at Miers?) So, even though the President may be cranky, it could be (and could get) a whole lot worse. I’m moving to a new blog called Concurring Opinions. If you’ve enjoyed my posts here, I hope you will join me at Concurring Opinions. I’ve had a wonderful time blogging at PrawfsBlawg. Blogging has been so fun and fulfilling in large part because of the great readership at PrawfsBlawg. Your comments have been intelligent, thoughtful, and respectful, and I have enjoyed and learned a lot from you. That’s why I hope you visit me at Concurring Opinions and post comments. So please stop by. As the U.S. Conference of Catholic Bishops' secretary for education, Sister McPhee oversees Catholic education in the United States, from nursery school through post-graduate. Her job includes working with the Department of Education, speaking frequently at conferences and scrutinizing religious textbooks to clear them with the teachings of the church. 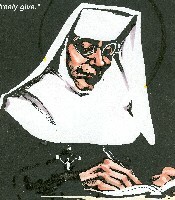 For nine months in 2003 and 2004, Sister McPhee also took on the task of clearing her name from the government's no-fly list, an endeavor that proved fruitless until she called on a higher power, the White House. "I got to the point I could hardly go to the airport, because I couldn't anticipate what would happen and I couldn't do anything," she said in an interview with Wired News. "I missed key addresses I was to give. I finally got to the point where I always checked my bag, because after I got through the police clearance, then they would put me through special security where they wand you from head to foot all over. They would dump out everything in your bag, then roll it into a ball and hand it back to you." . . . .
McPhee’s tale is revealed in Freedom of Information Act documents obtained by Marcia Hofmann of the Electronic Privacy Information Center. These documents will be released in full later this week, and apparently, they contain numerous instances of complaints of citizens wrongly placed on the no fly and watch lists. was being stopped because the list said that an Afghani man was using the last name McPhee as an alias. The list had no first name for him, and the intensive checks would continue until she cleared her name with the ombudsman at the Transportation Security Administration, according to this family connection. "I was now leaving three hours ahead, being at airports ahead of time, only to still miss planes. I was delayed up to five hours," McPhee said. . . .
McPhee said she called the TSA's complaint line and left numerous messages. Though the recording promised that someone would call her back in 72 hours, the TSA never called her back. Call logs from TSA's call center acquired by EPIC have no notation of contact with McPhee until May 13, 2004. . . . Finally, in May 2004, word of Sister McPhee's crusade made its way up to the head of the U.S. Conference of Catholic Bishops, the Rev. Monsignor William P. Fay. "(Fay) said, 'How are you doing your job?' and I said, 'Barely,'" McPhee said. Fay then personally wrote to Karl Rove, the top political adviser to President Bush, who contacted then-Homeland Security chief Tom Ridge, who passed the task to a top Homeland Security lawyer. McPhee said the lawyer immediately got the TSA to respond, and also gave her his cell-phone number in case she was ever stopped again. . . .
Actually, I misspoke when I said McPhee used her highest connections to get off the list. Her highest connection, God, couldn’t get her off the list. Only Karl Rove could. What if you don’t have connections to Karl Rove? You just have to pray . . . but as we learned, that won’t get you off the list. So I guess you’re just eternally damned. The Working Group received limited information about the technical architecture of Secure Flight and none about how software and hardware choices were made. We know very little about how data will be collected, transferred, analyzed, stored or deleted. Although we are charged with evaluating the privacy and security of the system, we saw no statements of privacy policies and procedures other than Privacy Act notices published in the Federal Register for Secure Flight testing. No data management plan either for the test phase or the program as implemented was provided or discussed. 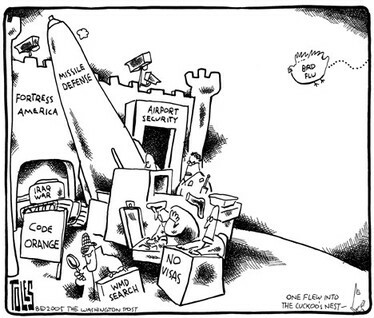 Congress should prohibit live testing of Secure Flight until it receives . . . from the Secretary of the Department of Homeland Security . . . a written statement of the goals of Secure Flight signed by the Secretary of DHS that only can be changed on the Secretary’s order. Accompanying documentation should include: (1) a description of the technology, policy and processes in place to ensure that the system is only used to achieve the stated goals; (2) a schematic that describes exactly what data is collected, from what entities, and how it flows through the system; (3) rules that describe who has access to the data and under what circumstances; and (4) specific procedures for destruction of the data. There should also be an assurance that someone has been appointed with sufficient independence and power to ensure that the system development and subsequent use follow the documented procedures. 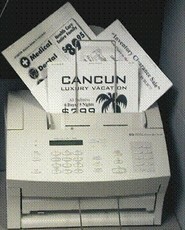 Junk faxes, unsolicited commercial facsimile messages, are on the rise again, despite the fact that they have been illegal to send since the enactment of the Telephone Consumer Protection Act of 1991. Why? Because Congress just pumped new life into the junk fax industry. swiftly passed the Orwellian-named Junk Fax Prevention Act, which created an "established business relationship" rule for junk faxes. In effect, this means that any business that you call or visit can fax you, even if you don't give the business your fax number. The established business relationship exemption is perpetual, but requires that the business put an opt-out notice on the fax advertisement. The Nielsen Ratings: Just Who, Exactly, Participates? What techniques do you use to collect viewing information? Nielsen Media Research uses People Meters, set-tuning meters, paper diaries, and telephone interviews (called telephone coincidentals). The People Meter is an electronic metering system placed in randomly selected households – 5,000 households for nationwide audience measurement. The meter measures three things – the tuning station of the TV set (on, off, time), what channel/station is being tuned, and who is watching. The People Meter is used to produce household and persons audience estimates for broadcast and cable networks and nationally distributed barter-syndicated programs. Who is watching television is measured by the "People" part of the meter. A fixed box is placed on or near the television, and each member of the household is assigned a personal viewing button (often, a remote clicker is also personalized). These personal buttons, allow Nielsen Media Research to determine "who" is watching which program. In 49 of the nation’s largest markets, an electronic metering system is used by Nielsen Media Research to provide set-tuning information on a daily basis. The TV-set-tuning information is collected from a sample of homes in these 49 markets (separate than the People Meter), and overnight household tuning ratings are reported on a daily basis for these local areas. This meter is placed onto the back of each television set in the home and monitors the tuning status of each TV set in the household. Diary measurement is used to collect viewing information from sample homes in every television market in the United States. Each year we process approximately 1.6 million paper diaries from households across the country for the "sweeps" ratings periods. The standard report months – the "sweep" months – include November, February, May and July of each year. The paper-viewing diaries are mailed out to randomly selected households in all 210 local markets in the U.S. Each household’s member in the diary sample is asked to write down what programs and channels they watch over the course of that one week. So families must agree to have their TV watching monitored 24-7 (or to keep extensive diaries about it) and cannot tell anybody about this (Nielsen requires that those it monitors keep the fact confidential) -- all for a small amount of money. Why would anybody want to do this? Are the type of people who choose to do this really representative of the TV-watching population as a whole? Now your kid (or you) can re-enact the excitement of airline screening! 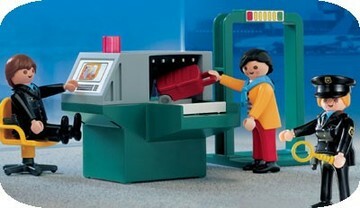 Yes, the airline screening playset pictured here is real! But unfortunately, the toy is a far cry from reality, since it doesn’t appear that the passenger comes with removable shoes. And sadly, it doesn’t appear that the set comes with a No Fly list. What kind of silly toy would dare to exclude the Secure Flight system? The TSA has been considering using commercial data for Secure Flight, but came under intense criticism from privacy advocates, the Government Accountability Office and others. In response, the agency has decided to launch the program without using commercial data, said TSA chief Kip Hawley. "There's no question it would be helpful, but it brings with it a lot of privacy concerns," Mr. Hawley said. . . . Collecting full names and birth dates will reduce false matches by 60%, Justin Oberman, who runs the program, told Congress this summer. But to further increase accuracy, the TSA considered the commercial data, which could include information culled from marriage and birth certificates, credit-card records, court filings, newspaper clippings and other sources. The TSA secretly tested this procedure without informing the public -- hiring a contractor that collected 100 million records -- which brought sharp rebukes from the GAO and privacy advocates. The agency apologized and reissued its privacy statement. But it remains unclear what commercial data would be used for. 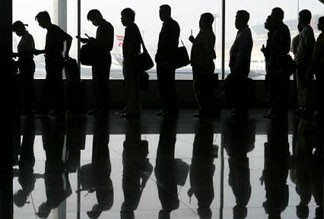 Mr. Oberman suggested to a congressional committee that the data could be used to find people who aren't on the watch list -- members of "sleeper cells" that the FBI doesn't know about -- as well as to better match travelers to known names. "If we just rise and fall on the watch list, it's not adequate," he said in July. From the beginning, the Secure Flight program has been something of a disaster. Originally named CAPPS II, it was scrapped due to unclear goals and privacy problems. TSA gave it a makeover, renamed it with the happier name of "Secure Flight," and made stronger assurances that privacy would be protected. But once again, the TSA got into trouble by violating the Privacy Act in breaking its promise not to store data about consumers from commercial entities. Now Secure Flight, which was supposed to be the scaled back version of CAPPS II, is being scaled back. But many questions still remain: What gets a person on the No Fly list? What can people do to get off the list? How long will this take? What mechanisms (if any) will exist to ensure that there is public accountability for the system? 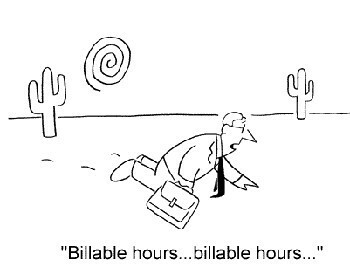 White Collar Criminal Sentences: How Long Is Too Much? Bernard J. Ebbers, the former chairman of WorldCom who was convicted of masterminding an $11 billion accounting fraud that bankrupted the company, was sentenced to 25 years in prison. Because Mr. Ebbers is 63, some have contended that the sentence amounts to a life term. Likewise, John J. Rigas, the 80-year-old founder of Adelphia Communications, was sentenced to 15 years. "You have to ask yourself whether the proof in these cases warrants such a sentence," said Otto G. Obermaier, a former United States attorney in Manhattan, who had been an aggressive prosecutor of white-collar crimes when he ran the office from 1989 to 1993. "Ebbers's sentence moved the goal posts pretty far back. You can describe it as a pendulum switch, but it is an overreaction." . . .
No lawyer is suggesting that white-collar criminals not serve time. Rather, lawyers and jurists are asking what the appropriate sentence is for white-collar crimes relative to punishments for other crimes in a post-Enron world. The article continues with some quotes from Jonathan Simon (law, Boalt) who compares the punishments of white collar crimes to drug crimes and notes that "both represent increasingly irrational and inhumane levels of punishment." Quite frankly, I have a hard time feeling upset about the lengthy sentences being doled out to white collar criminals these days. For decades, those convicted of drug crimes have been sentenced to prison for extremely long periods of time, even for amounts of drugs with not a very high monetary value. In contrast, white collar crimes have often been punished lightly, in prisons that resemble boarding school. Often the discussion over sentencing white collar criminals focuses on deterrence, noting that merely being convicted is extremely shameful for white collar criminals, that shame can be a very strong deterrent, and that consequently, there is little need for a lengthy period of incarceration. But another goal of punishment is retribution. While the retributive urge should be tighly controlled in penal sanctions, I believe that it should remain an important component in sentencing. Many white collar criminals are much worse than drug dealers in my opinion. 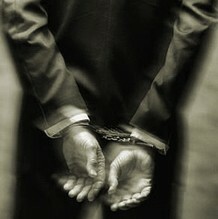 White collar crime can have a tremendous impact on society and a profound reach. It can result in the loss of people's investments and pensions. It hurts the economy. It can result in losses of billions of dollars. It can lead to thousands of lost jobs. The monetary loss to society caused by white collar criminals is immense. From a retributive standpoint, perhaps the sentences for white collar criminals should be much higher than those of drug offenses considering the damage that they cause to society. Ellen Podgor (law, Georgia St.) at White Collar Crime Prof Blog urges that white collar criminals be sentenced harshly but reasonably. I am not condoning the very long sentences being given out, but until we rethink our drug sentences, the sentences of these white collar criminals do not strike me as outrageous in comparison. Given how steep drug crime sentences are these days, I wonder whether the white collar criminal sentences are even long enough considering white collar crime's often greater economic impact and damage to society. See also Dave Hoffman's post here are PrawfsBlawg about corporate criminals doing time in maximum security prisons. My debate with Laura Appleman about whether to scrap the third year of law school continues over at Legal Affairs Debate Club. The debate will continue through Friday, with a post by each of us every day. Some interesting comments about the issue have been posted at PrawfsBlawg here, so if you have comments, please post them along with the other comments at that link. Should We Scrap the Third Year of Law School? Over at the Legal Affairs Debate Club this week, Laura Appleman (visiting prof., Hofstra Law School) and I are debating whether the third year of law school should be scrapped as well as other issues regarding the future of legal education. We’re reprising a discussion we had a while back here at PrawfsBlawg while Laura was a guest blogger. Our Prawfsblawg posts are here, here, and here. Our debate will continue over at Legal Affairs Debate Club for the rest of this week. Laura has lodged the first strike in the debate, contending that the third year should either be abolished or significantly restructured. My response will appear soon. Each day this week, we’ll continue to trade punches in the debate. If you have thoughts and reactions, please feel free to air them here, as the Debate Club format doesn’t allow for comments. 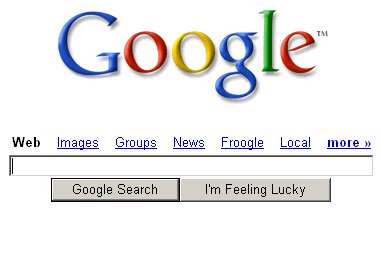 Blog Search is Google search technology focused on blogs. Google is a strong believer in the self-publishing phenomenon represented by blogging, and we hope Blog Search will help our users to explore the blogging universe more effectively, and perhaps inspire many to join the revolution themselves. Whether you're looking for Harry Potter reviews, political commentary, summer salad recipes or anything else, Blog Search enables you to find out what people are saying on any subject of your choice. Your results include all blogs, not just those published through Blogger; our blog index is continually updated, so you'll always get the most accurate and up-to-date results; and you can search not just for blogs written in English, but in French, Italian, German, Spanish, Chinese, Korean, Japanese, Brazilian Portuguese and other languages as well. Sympathy can be hard to come by for White House officials who are summoned to appear before a grand jury. Those whose identities remain a secret suffer in silence, discouraged from reaching out to their closest friends for help. Those whose names leak into the public domain become lightning rods for rumor, suspicion and innuendo, as politicians, commentators and journalists try to divine a meaning behind each summons. . . . But while the politics of every appearance is picked over in minute detail, there is also a human story to each summons that often goes unexplored. Witnesses face stress, uncertainty and -- worst of all -- crippling lawyer's fees that can take years to pay off. And as prosecutors cast their net ever wider, inexperienced staffers with few financial assets are increasingly facing the emotional and financial burden of grand jury testimony. . . . The two former Clinton aides said that the financial burden was crippling. Like many others, these White House officials had to pay their own legal bills, and these can run into the hundreds of thousands of dollars. Some may qualify for a partial reimbursement from the Justice Department, but this usually covers a fraction of the outlay and can take as long as seven years to be paid out. White House aides are even barred from receiving free legal assistance. "We spent our time on Capitol Hill, and none of us had any assets. It's a scary thing. Lots of people rented apartments, had no assets to their name," said the former Clinton staffer. "If you have a career in public service, you're being paid well under $100,000 a year, and you have student loans; you become paralyzed financially." Lattimore said that he had to turn to his parents, who loaned him money to cover his legal fees. Lattimore's lawyer, Adam S. Hoffinger, said that the bill for representing someone in a grand jury investigation is usually large. "A white-collar grand jury investigation in D.C. or New York could cost a witness between $10,000 and $100,000, assuming no trial and no criminal exposure," he wrote in an e-mail. . . . This is another strike against the grand jury, which is a tool to assist prosecutors that I believe sometimes amounts to an end-run around other criminal procedure rules. Witnesses should not bear these extensive costs to assist the state in its prosecutorial efforts. Many of these witnesses are not suspects -- they are just ordinary people who happen to have some knowledge about a matter under investigation. Grand jurors must also bear a tremendous burden. Grand juries last for months, and are tremendously disruptive to people’s lives. Being a grand juror can have a devastating impact on small business owners. Grand jurors may also be forced to bear significant costs in transportation and child care. So witnesses and grand jurors must bear great cost and sacrifice because they are conscripted into assisting the state in prosecuting its cases. Grand jurors are basically a tool used by prosecutors to collect evidence in cases (grand juries basically do whatever the prosecutor wants). For these reasons – and for the reasons in my previous post about grand juries – I wonder whether it’s time to end grand juries or greatly curtail their use. (Of course, there are constitutional issues that might limit to some extent how far grand juries can be curtailed). A judge has upheld a ploy by Seattle police detectives to get a slaying suspect to send his DNA to them -- leading to a first-degree murder charge in a 20-year-old case. King County Superior Court Judge Sharon Armstrong ruled that police did not violate John Athan's privacy or other rights by sending the New Jersey man a phony letter saying he was eligible for money in a class-action lawsuit over parking tickets. Athan responded to the letter -- and licked an envelope, leaving saliva that provided his DNA. That DNA was matched to evidence from the 1982 killing of 13-year-old Kristen Sumstad, whose body was found dumped in a box behind a Seattle store. Athan's attorney had asked the judge to either throw out the DNA evidence or dismiss the case. Armstrong refused. She agreed that the police broke the law by pretending to be lawyers, but said police are allowed to do that to catch criminals. The judge also found that while people may expect their letters to be private, that expectation doesn't apply to the envelope they use. 1. 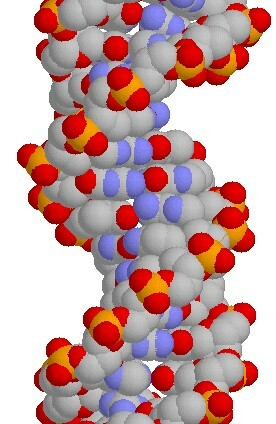 To what extent does a person have a reasonable expectation of privacy in his or her DNA? Existing Supreme Court caselaw holds that if items are discarded in the trash or exposed to others, then people lack a reasonable expectation of privacy in them, and the Fourth Amendment does not provide any protection. The problem with these holdings is that they never contemplated DNA. We scatter our DNA about throughout the day; and if the police want to, they can gather people's DNA from discarded items or through many other methods, including the one used in this case. The police can thus gather people’s DNA readily without a warrant, without probable cause, and without even a subpoena or any legal process. 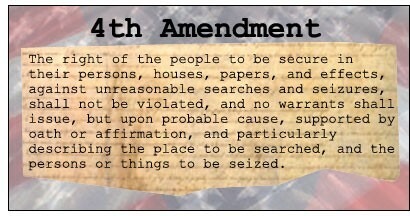 This situation demonstrates why existing Fourth Amendment doctrines don’t adequately address modern issues involving information. Should there be some level of regulation for the police gathering of DNA from particular suspects? (And no, Orin Kerr, this doesn’t suggest that statutory law is better than the Fourth Amendment, because there are no statutes governing this conduct either). 2. To what extent should the police be able to engage in criminal activity to catch criminals? Here, the police were engaging in fraud. Similar kinds of issues arise in other kinds of police investigations. The open fields doctrine allows police who engage in trespass onto people’s land to nevertheless use evidence that they discover. Should the Fourth Amendment be interpreted to exclude evidence when the police violate the law? Brad Wendel (law, Cornell) has a very thorough collection of tips for candidates on the law prof teaching market as well as some links to blog posts (including some here at PrawfsBlawg) with advice for those on the market. Click on the continuation for links to previous PrawfsBlawg posts on law teaching market advice. How Can This Pathetic Response Be Justified? There's a massive wave of discontent sweeping over the country about the federal government's reponse to the tragedy in the Gulf Coast. Why is it taking so long for help to arrive? Why wasn't there a better plan in case of a disaster? Aren't we supposed to have a plan in place if a major American city needs to be evacuated in the event of a terrorist attack? New Orleans isn't close to being in the Top 10 largest American cities. Imagine if this happened in an even larger city. Why are officials so dazed and confused here? We've had hurricanes before. 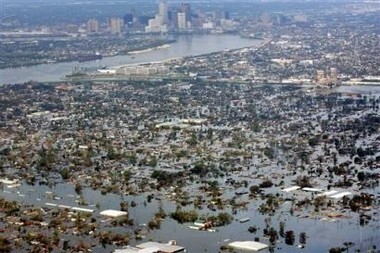 The problem with the levees breaking wasn't a big surprise -- people knew about it beforehand and feared it might happen. So why wasn't there any planning? What about the wonderful DHS that the Bush Administration created to handle issues of homeland security more efficiently? So much for efficiency. And so much for leadership. Todd Zwyicki at the VC says we need Rudy Guiliani to help. Rudy was, after all, the true leader who held America together after 9/11. While Bush was mumbling little kiddie phrases from movies about smoking terrorists from their caves and posing for photo ops with a megaphone, Rudy was speaking to America on television each and every day, eloquently reassuring us that things were being done. He took charge of the recovery efforts and was deeply involved. [M]y sense is that given the scale of the crisis, there is really only one person who can take command and be the new Rudy: the President of the United States. And at least so far, President Bush isn't measuring up. The American people want someone who is going to go down to New Orleans and take command and responsibility on the ground, not someone who is going to take an aerial tour of the disaster or have a press conference. If this is how the federal government responds to a major crisis in not even one of the largest U.S. cities, I have no confidence that it is adept to handle a crisis in an even larger city. Supposedly, Bush was to be making us safe from terrorism and prepared for emergencies on our soil. I guess not. And we have no leadership at a time we need it the most. However, the looting of concern in New Orleans isn't Jean Valjean taking bread for his children; the looting involves attacks on hospitals to steal their narcotics, and attacks on stores or homes which have nothing to do with acquiring necessities for short-term survival. Given the absence of a sufficient police presence in order to stop the looters, I strongly agree with Glenn Reynolds that such looters should be shot on sight by armed citizens. A citizen's arrest and detention isn't possible as a practical matter. Shooting the New Orleans looters is, under present circumstances, an appropriate response to the collapse of civic order, and a first step towards the restoration of that order. I rarely react so strongly to what I read on blogs, but I find Kopel's comments disgusting and irresponsible. Thankfully, Orin Kerr balances out the extremism at the VC and argues that shooting looters is a very bad idea: "Such an approach would only help undermine the social order by turning New Orleans from a looting zone into a shooting zone." One of the big problems hindering rescue efforts is the fact that so many people are running around with guns and shooting. Perhaps the problem is caused by the fact that guns are so readily available. But instead of considering any of the problems with the pro-gun position, Kopel chooses to glorify gun violence and vigilantism by arguing that people should shoot others who steal a TV or VCR in order to protect the inventories of corporate store owners like K-Mart and CVS. Is protecting these relatively low-value goods worth condoning violence and even murder? That's exactly what Kopel seems to be arguing, and I find it outrageous. It represents the worst elements in libertarian and pro-gun thinking: protect-property-above-all-else and encourage-the-vigilantes-to-take-back-the-streets-with-their-guns. I sure hope that this isn't what Kopel means. Here are shocking satelitte images of the flooding of New Orleans, before and after, from NASA. 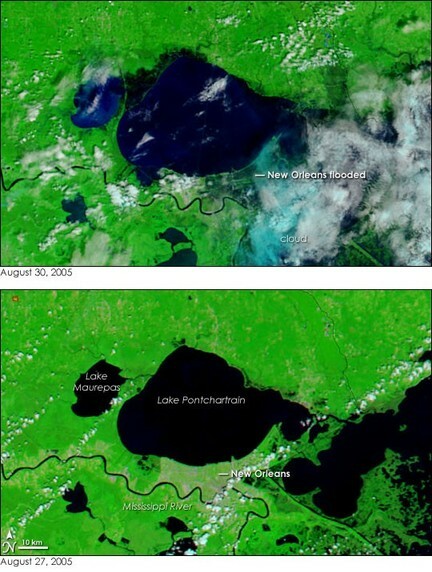 The picture of the flooding is on the top; the picture of New Orleans before the flooding is on the bottom. A report released in March by Citigroup Private Bank showed that the number of equity partners at law firms grew by just 2.5 percent last year, which is down from 3 percent from three years ago and 4.5 percent five years ago. And as profits per partner climbed 9 percent last year to an average $960,000 among the top 100 firms ranked by The American Lawyer, a sister publication of The National Law Journal, it appears that gaining entry into the elite club is more difficult -- and more profitable. It resembles a pyramid scheme gone bad. Not so bad, however, if you’re already a partner. It is heartbreaking to see this wonderful city in such devastation. The problem seems unfathomable. What do we do when an entire major metropolitan city has become completely uninhabitable for months? Nearly a million people homeless, totally displaced, without a place to work or live – for a long and indefinite period of time. To reiterate earlier posts, if you want to donate, here’s the website of the Red Cross. A New York stock clerk who had his camera phone swiped from his car this month says he was able to peer into the life of the gadget's new owner. The thief evidently didn't realize the copious photos and videos he was taking with the hot phone were accessible through a web account. . . .
Because the camera phone can only hold a limited number of images, Sprint lets subscribers upload photos from the device to a web account. "I decided to go and check out the web space and see if there were any pictures uploaded to it, and he had taken almost 40 pictures and five movies and uploaded them all," says Clennan [the theft victim]. Far from chastised, the man fired back a taunting one-line note, apparently with his own name in the header, dropping the name of a woman Clennan had been dating, and who'd sent text messages to the stolen phone. Clennan retaliated by posting the story and some of the photos to a Long Island web board, where it immediately began gathering the kind of interest that accumulates to photo-driven internet phenomena like the Korean Dog Poop Girl and the New York subway flasher. Urged on by netizens, Clennan says he finally took the trove of evidence to the Suffolk County, New York, police last week, and they're considering filing petty theft charges in the case. 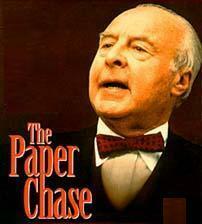 "The detective actually laughed," says Clennan. . . . Contacted by e-mail, the camera phone's new owner told Wired News he didn't steal the device, but merely found it on a street corner. The young man says he's 16 years old, and Wired News has elected not to report his name. The case provides another instance of Internet shaming to discuss and debate. In recent posts, I've been critical of Internet shaming. One of the problems with this incident is that the facts are still unsettled about how the teenager acquired the camera. The pictures, however, still float around the Internet. Despite the theft victim's change of heart, it's too late to take the pictures back. There have been some interesting discussions recently about people taking matters into their own hands and shaming others whom they witness committing crimes. 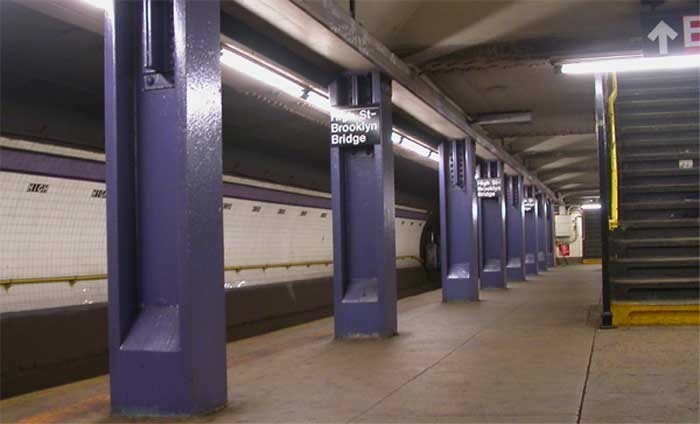 A while back, I wrote about the shaming of the dog poop girl, whose picture and personal information were placed on a website after she failed to clean up her dog's poop on the subway. Kaimi Wenger also had some interesting thoughts about the case here and here, as well as did Marcy Peek in a post about Internet vigilantism. Just the other day, Brooks Holland writes about a case involving the shaming of a NYC subway flasher, where a woman caught a picture of him on her cell phone camera and posted it online. 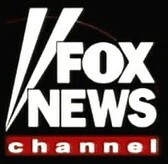 Their house, a suburban fixer-upper the Voricks bought three years ago, was wrongly identified in a cable news broadcast as the home of a terrorist. . . .
"John Loftus has been reprimanded for his careless error, and we sincerely apologize to the family," said Fox spokeswoman Irena Brigante. Loftus also apologized and told The Times last week that "mistakes happen." But the problem with the apology is not just that the address was wrong. It is with Loftus's eagerness to facilitate vigilante justice. The problem with vigilantism is that it often leads to more problems than it cures. Bernie Goetz isn't somebody we want to bring back. Over at Balkinization, I've posted some comments about the Washingtonienne case, which I blogged about here earlier this summer. In my post at Balkinization, I'm responding to an article in the Washington Post written by Professor Andrew McClurg that casts doubt on the viability of the public disclosure tort based on First Amendment law. I take issue with his reading of the law, and I contend that the tort remains very much alive and well, despite rumors of its demise or infirmity. Two notable differences are: (1) the form from Citibank’s website has a toll free phone number you can call to opt out; the form in the letter does not; (2) the addresses of the processing centers where the opt out forms are to be sent are different. So my friend then called Citibank to find out what was going on. Had a fraudster acquired a card in her name? Was the letter an elaborate fishing scheme? My friend recounted the conversation the best she could so I could recreate it on this blog. This is reconstructed from her memory, so it’s not exact. Although the transcript below doesn’t contain the precise words spoken, it hopefully will capture the gist of the conversation. Click on the continuation to read more. CUSTOMER SERVICE REPRESENTATIVE #1 (REP): Hello. May I have your account number? MY FRIEND (F): No, I'm sorry, I don't have an account with you. 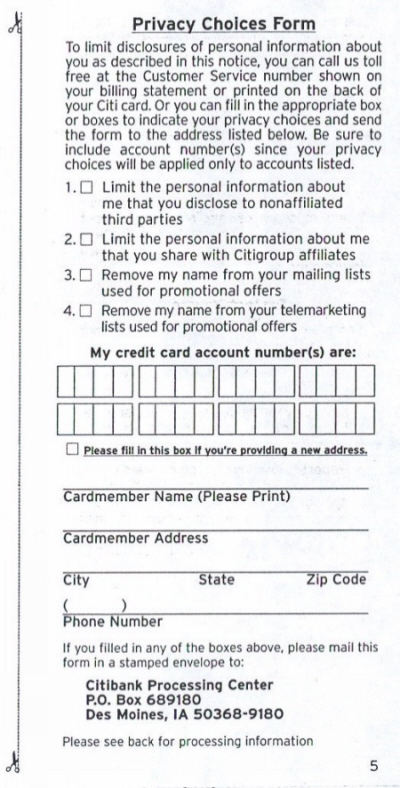 F: I'm calling because I got this piece of mail yesterday that's supposedly from Citibank, but it looks suspicious to me. F: First of all, it refers to a Citi Mastercard account that I don't have. So my first thought was maybe someone else opened a credit card account in my name. Second, the letter included a Privacy Notice saying that if I want to limit who my personal information goes to, I should write down my credit card numbers -- there are spaces to write two of them -- and send them to this processing center in Des Moines, Iowa. The notice says I can do this over the phone, but doesn't give a phone number. It says I should call the number on my bank statement or on the back of my credit card -- neither of which I have, of course, since I don't have this credit card account. So then I started wondering if someone posing as Citibank might have sent me a fake notice to try to get me to reveal my credit card numbers. If that's the case, I thought you might want to know that somebody's doing that in Citibank's name. A third option might be that this mail actually is from Citibank, and there's some sort of mistake in your records about this account that I've never opened. If that's what's happened, I should fix that. REP: Well, you don't have to fill out the Privacy Notice, m'am. You could just throw it away. F: I'm definitely not filling it out -- I don't have an account with you. But can you help me confirm whether this mail is actually from Citibank? Could you tell me, for example, whether you've got a processing center at this address in Des Moines, Iowa? REP: Just one moment. [Clicks away on computer.] M'am, it doesn't look like we have a processing center in Des Moines. REP: Can I have your name? REP: Just a moment. [Clicks away on computer.] M'am, we don't have you on record as having an account with us. F: Right. That's because I don't have an account with you. F: So, if this letter didn't come from Citibank, maybe I should make some sort of complaint or let someone know? Can I do that through you, or can you direct me to someone else I should talk to? REP: Maybe you should talk to someone in the credit card department. Hold on just a moment and I'll transfer you. CUSTOMER SERVICE REPRESENTATIVE #2 (REP): Hello. May I have your account number? F: I don't have an account with you. REP #2: Oh. May I have your Social Security number, then? REP #2: M'am, I'm sure you probably do have a credit card with us. F: No, I'm pretty sure I don't. REP #2: Yes, you probably do. F: No. I have one major credit card, and it's not through Citibank. REP #2: Oh? What kind of credit card is it? REP #2: Uh-huh. What bank is it with? REP #2: Yeah, well, we own parts of National City. So I'm sure your credit card is with us. F: Um, all right, then. Can you tell me whether you've got a processing center in Des Moines, Iowa? REP #2: [impatiently] We sure do, m'am. F: OK. Thanks for all your help. 1. This conversation is indicative of the kinds of conversations that we have with customer services representatives with banks and other businesses. The representatives read from a script and can’t seem to respond without it. They contradict each other, don’t seem to know what’s going on, and have little authority to do much of anything. Increasingly, we’re having these frustrating encounters that are wasting our time. 2. Citibank’s customer service representatives seem nonchalant at the fact that a person, without a Citibank credit card, has called up and said she received something in the mail making reference to her Citibank credit card account number. Shouldn’t Citibank be concerned about this? It could be a case of credit card fraud or an elaborate phishing endeavor. Citibank should investigate this. Instead, they don’t seem to give a damn. 3. Companies contribute to phishing because they don’t establish with their customers clear protocols for valid communication. This allows phishers to send fake emails and other communications falsely pretending to be from particular businesses. If businesses established very clear rules about how they contact their customers, fraudsters would be less able to trick people. A personal example: I recently got a call from a computer which told me that there might be fraudulent charges on my credit credit card. I was to call the number the computerized recording gave me. This phone number didn’t match the phone number on the back of my card. It could have been from a phisher. So to be safe, I called the regular number on the back of my card, and the representative said that the computerized recording was bona fide and connected me to the fraud department. Of course, the problem here was that my credit card company should not have given me a new number to call different from the one it had already given me on the back of my card. This would assure me that I wasn’t calling some bogus number and giving out my credit card info to a fraudster. The epilogue – there was no fraud. I bought gas for my car and groceries in the same day, which apparently triggered the system. Go figure! It’s come to fisticuffs. Professor Orin Kerr and I have taken our many debates out of the halls of GW Law School and into the pages of a forthcoming symposium issue in Fordham Law Review. I argue vigorously that Orin is wrong. My essay is a short easy read, and you might find it entertaining to watch me dismantle my colleague and friend – or laugh at me for failing in the attempt. You can be the judge. And Orin, of course, wanted to have the final word, so read his short reply essay to my attack, which will also appear in the Fordham Law Review. In the end, my scorecard has me winning by TKO. Orin’s scorecard, surprisingly, has him winning by TKO. So to settle this thing, let us know what you’ve got down on your scorecard. Christopher Smith's neighbors didn't know exactly what he did for a living. But they knew well that he liked to collect expensive cars and set off fireworks at all hours. At an age when most of his peers could barely afford a new car, Smith was amassing a collection that would include BMWs, Hummers, a Ferrari, a Jaguar and a Lamborghini. And when other 20-somethings were trying to save for down payments on modest starter homes, Smith paid $1.1 million for a house in a more affluent suburb. Smith got all that through his successes in massive unsolicited e-mail marketing, authorities say. 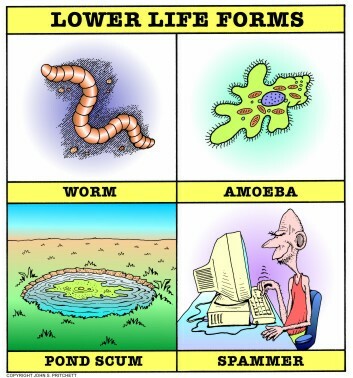 The Spamhaus Project, an anti-spam group, considered him one of the world's worst offenders. He was just 25 when the feds in May shut down his flagship company, Xpress Pharmacy Direct, and seized $1.8 million in luxury cars, two homes and $1.3 million in cash held by Smith and associates. But even then, prosecutors say, he refused to give up. They say he tried to relaunch his online pharmacy from an offshore haven — the Dominican Republic — intending to build his business back up to $4.1 million in sales by its second month, right where it was before. . . . The high school dropout, operating under the nickname Rizler, got his start in the late 1990s, selling police radar and laser jammers. Along the way he added cable TV descramblers and other products. After Time Warner Cable got an injunction in 2002 putting Smith out of the descrambler business, he diversified and generated more than $18 million in sales from drugs online, including the often-abused narcotic painkiller Vicodin, without obtaining proper prescriptions, federal prosecutors say. . . . Neighbors didn't know exactly what Smith did for a living. Parson said he told one person he had a lawn service, another that he was "into computers" and yet another that he was "into pharmaceuticals." "There were these Hummers outside, the limos outside," she said. "It was like, 'Where do these people get their money from?'" There’s a lot more to the tale in the article. If it weren’t for the bad ending, the spamming lifestyle was starting to sound quite fun. Sadly, there appears to be much more money in creating spam than blog posts. Sometimes, the world works in perverse ways. Over at Balkinization, I just posted about an interesting story by the AP about how babies are being flagged by the Do Not Fly list. I argue that the debate must shift from merely pointing out the privacy and civil liberties costs of various security measures to also pointing out just how dumb, badly-conceived, and poorly-executed these measures often are. Seven-time Tour de France winner and cancer survivor Lance Armstrong Sunday said the United States, which is embroiled in a costly war in Iraq, should focus more effort on a war facing many Americans -- the one against cancer. Although the United States declared war on cancer in 1971, Armstrong said in some ways, the country was losing that war. "I'm not saying that spending on wars and terrorism is a bad thing," Armstrong said in an interview on ABC's "This Week with George Stephanopoulos." When asked if the United States was doing enough to fight cancer, Armstrong replied, "I think we could spend more money. I think we could spend our money in different places. And I think we could spend our money where it matters to the American people." Armstrong, who is on the President's Cancer Panel, said that the National Cancer Institute and other U.S. health agencies need more money to better fight cancer. "This is one of the few years where they have not had more money. As a survivor, I think we would be better spending money on an illness like cancer," said Armstrong, who was diagnosed in 1996 with testicular cancer that spread to his brain and lungs. So I must be right in all my posts. Lance agrees with me! Councilman: Just What Does it Take for a Law to Be Vague? The vagueness doctrine bars enforcement of a statute whose terms are so vague that men of common intelligence must necessarily guess at its meaning and differ as to its application. . . . Many statutes will have some inherent vagueness. . . . But a statute is unconstitutionally vague only if it prohibits . . . an act in terms so uncertain that persons of average intelligence would have no choice but to guess at its meaning and modes of application. (internal quotations omitted). The en banc court concludes that here a person of average intelligence would have adequate notice. This seems like lip service to the vagueness doctrine. What strikes me as interesting is that two judges in the 1st Circuit panel reached the opposite conclusion. Does this mean that they are not people “of average intelligence”? While I disagreed with the 1st Circuit panel’s prior decision in Councilman, the statute is very tricky and complicated on this point, and the judges were not morons for reaching the interpretation they did. In fact, there were bills proposed in Congress to clarify the law after the Councilman panel decision came down. Electronic surveillance law is very complicated, and before imposing criminal liability, the court should have more pause when recognizing the different ways the law might be interpreted. It is my impression that this opinion is indicative of a general judicial reluctance to recognize vagueness arguments in criminal cases. I don't have stats to back me up, but I've rarely read many successful vagueness challenges. If the law in this case isn't vague, I wonder just how ridiculously ambiguous a statute must be to be vague. Does it have to fool half the judges on a particular circuit? I query whether the vagueness doctrine has any real meaning at all. UPDATE: Orin Kerr at the VC has just posted his thoughts about the en banc decision. Definitely worth reading. Privacy Law in the U.S. v. E.U. So far, American companies including financial services giants like Bank of America, Citigroup and MasterCard, and national retailers like DSW shoes and Ralph Lauren Polo, have announced data compromises. All told, the personal information of more than 50 million consumers has been lost, stolen and even sold to thieves. Why is this happening here, and not, say, in Britain, Germany or France? One reason may be that every other Western country has a comprehensive set of national privacy laws and an office of data protection, led by a privacy commissioner. 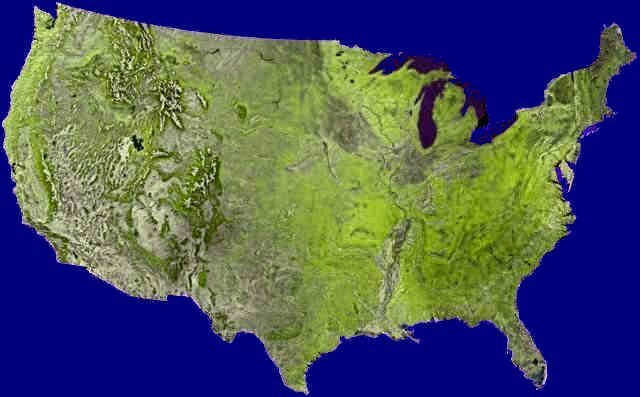 The United States, by contrast, has a patchwork of state and federal laws and agencies responsible for data protection. I agree with this observation. The U.S. system of privacy law is riddled with gaps and holes, and it needs considerable fixing. The article goes on to discuss more generalizations of the E.U. vs. U.S. approach to privacy. One of the common generalizations between the E.U. and U.S. is that the E.U. is more willing to regulate personal information use by businesses rather than by the goverment, and vice versa for the U.S. In general, Americans are far more comfortable than Europeans with business handling their information, and far more skeptical of putting it in government hands. The tradition of making government records - like tax records, mortgage information and census data - easily accessible to the public is uniquely American. Restrictions on the commercial use of private data has also meant that data-mining interest groups never became entrenched in Europe. This, too, has philosophical and historical roots. European data protection policies emerged in the early 1970's, when the German state of Hesse enacted the first set of data privacy laws. "This was still a generation with memory of World War II that knew how Nazis and fascists would use personal information against their enemies," said Evan Hendricks, the editor of Privacy Times, an advocacy newsletter. "If you were going to protect liberty, you had to ensure there was fairness in the protection of information." 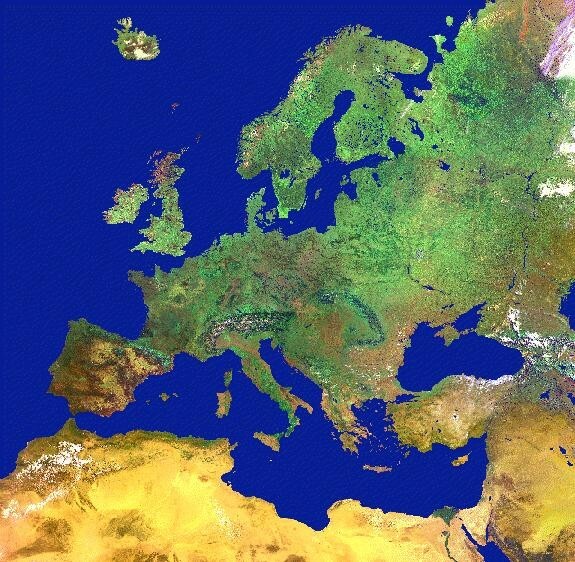 If Germany and other E.U. countries are concerned about prior experiences with totalitarian governments using personal information, why are Americans "far more skeptical of putting it in government hands"? This question has always puzzled me. One would think that given the E.U. 's experiences last century, there would be a very strong skepticism of government uses of personal information. If the generalizations are correct, why aren't people in E.U. countries more skeptical of government uses of personal data? Credit Card and Bank Fees: Is the Sky the Limit? Chris Hoofnagle of EPIC West has started a new blog, and it is filled with interesting posts about privacy and consumer protection law issues. In a recent post, he discusses the growth of credit card fees for late payments, cash advances, etc. Hoofnagle quotes from a Wall St. Journal article that notes that credit card fees have doubled since 1996. 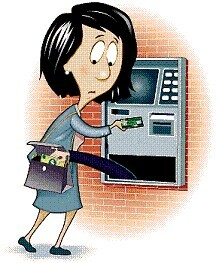 Bank ATM fees can be steep too, as well as fees for bounced checks, failure to maintain minimum balances, and so on. According to one of the articles Hoofnagle cites, banks rake in $30 billion per year from fees. Credit card issuers collect about $20 billion in fees. These fees have always struck me as very problematic. They disproportionately affect the people who can least afford to pay them, and many seem excessive. Why does it cost so much money to withdraw from another bank's ATM machine? When you add in your bank's fee plus the fee the other bank charges, it can be as much as $2.50 or $3.00 to make a withdrawal. I'm not an economist, but is this just the good old market at work? Or is there some type of market failure at play? The article, by Elinor Mills, a CNET staff writer, gave several examples of information about Google's chief executive, Eric E. Schmidt, that could be gleaned from the search engine. . . . Here's a link to the original CNET story that offended Google. 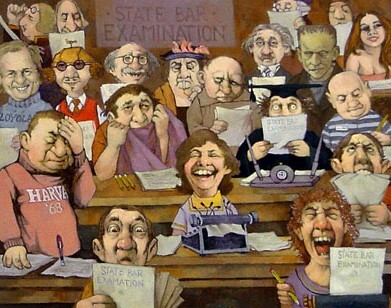 I'm participating in a symposium at De Novo on the Bar Exam, revisiting some of my arguments I made at PrawfsBlawg (here and here) about abolishing the Bar. For those interested, check out my comments at De Novo as well as some of the other commentary in the symposium at De Novo. Michael Dorf (law, Columbia) has cut through all the fluff and tells prospective 1Ls everything they need to know in the first year of law school. 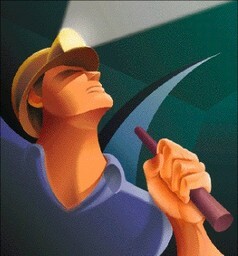 This Article concerns governmental actions based upon computerized data matching (comparison of records) and data mining (profiling). Over 50 federal agencies are using or planning to use data matching and data mining, in a total of 199 programs, some of which are aimed at locating potential terrorists. The most striking aspect of virtually all anti-terrorist data matching and data mining decisions is the absence of even the most rudimentary procedures for notice, hearing, or other opportunities for meaningful participation. 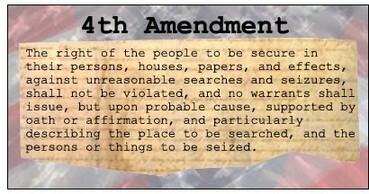 Because the Fourth Amendment pre-empts most due process claims involving governmental actions that can be characterized as searches or seizures, this Article first applies Fourth Amendment doctrine to the use of data matching and data mining in those contexts. Other data matching and data mining consequences must be evaluated under the Due Process Clause. After reviewing their potential effects on private, governmental, and accuracy interests, the Article proposes four possible ways of accommodating data matching and data mining with due process. One would be summary hearings prior to denial of access to flights or the imposition of other liberty or property effects. A second involves correction opportunities after the initial data matching or mining consequence, in a fuller process with disclosure and a right to respond. A third means of redress would be after-the-fact compensatory damages for false positives in outcome. Finally, given the frequent need to keep data mining decision algorithms secret, and the difficulty of addressing challenges to them in individual hearings, this Article proposes systematic independent oversight of their validity. Due process is indeed a major issue with regard to data mining systems. I really look forward to reading this article. This great cartoon by Tom Toles (Washington Post) captures what I've been blogging about (here, here, and here) with regard to national security, terrorism, and privacy. We're spending tons of money on elaborate ways to detect terrorists, such as Secure Flight, data mining, searches of bags in NYC subways, and so on. Meanwhile, we're not giving sufficient attention to an even greater threat -- a potential bird flu pandemic. The risk of being killed by terrorism is very low. Terrorism works because it is dramatic, because people's fear is disproportionate to the risk, because governments respond in such a frenzied fashion, curtailing civil liberties and making everyday life more inconvenient for cosmetic security measures that add little to no additional real security. Here's a list of the top 20 leading causes of death in 2002 from the CDC. 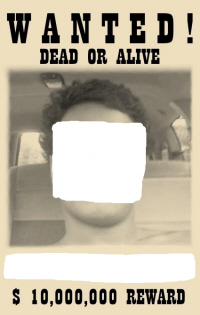 I'm looking for a more complete list of death statistics beyond the top 20, so if anybody knows where I can find them, please let me know. Let's assume a terrorist attack of 9-11 proportions each year -- which is, of course, not likely and not borne out by history, as terrorist attacks have been few and far between. Note that 9-11 wouldn't even make the top 20 causes of death! Certainly, there are costs to terrorism beyond lives and injuries. There's the anger from being wronged, as well as the creation of a sense of vulnerability. Certainly, we should devote resources to fighting terrorism. But programs such as Secure Flight and data mining, which have yet to deliver any benefits, which are costing millions to study and develop, and which pose significant concerns for privacy and civil liberties, strike me as incredibly wasteful. The same is true with the NYC subway searches. It's a waste of money and resources that could be used in addressing the more serious (and often preventable) risks of death in our society . . . like the bird flu. I am concerned, however, that blogs may never evolve into a truly respected academic medium for law professors, even though I think a case might be made, especially with the recent forums sponsored by SCOTUSblog, that we are starting to see more and more first-rate scholarly ideas appearing on the blogsphere well before they surface in more traditional outlets. Thus my question for those interested in having (at least some) blogs further evolve into a respected and trusted academic medium for law professors: how might we help make that happen? In other media, editors provide the sorting/assessment mechanism for journal article placement and op-ed publication. But such editors do not provide this kind of quality control for blogs, and it is clear that some bloggers will not desire (or be willing to spend the needed time) to make blogs a respected academic medium. . . .
My sense is that, despite the genius of google, the blogsphere currently lacks means to ensure quality scholarly posts are easy to find, access and utilize. It's true that the blogosphere lacks a means to police quality, but with anything, reputation will develop over time. Already bloggers are developing reputations. There are bloggers whose posts I find insightful and those whose posts that I don’t find worth reading. There are blogs I really find interesting and those I don't like very much. I won't name names. The bottom line is that blogs and bloggers are developing reputations. With anything, having some sort of external selection process doesn't necessarily ensure quality. Look at legal scholarship -- many terrible articles make it through to publication. I've read many a bad op-ed and many a bad book. In the end, I hope that the academic community will be able to assess quality on its own, rather than looking externally to editors, journalists, law students, or other "gatekeepers" of what's supposed to be good or bad. I doubt that blog posts will begin to count towards tenure anytime soon, and I doubt I’ll start getting summer grants to write blog posts. But that doesn’t mean that they won’t be important. What blogging will do, I think, is help develop some professors into public intellectuals. It will also expose some professors more broadly to the scholarly community. If I’m reading a professor’s blog every day, I’m being exposed to her thoughts and ideas on a regular basis – much more than I would be if I just read a paper or two of hers once in a while. So I can get exposed to her as a thinker. True, I’m not getting exposed to her scholarship, but if she is writing good thoughtful posts, I am becoming familiar with some of her ideas. I think more highly of bloggers whose posts I find insightful. There are some law professors that I didn’t know about until I began reading their blogs. Now, I know who they are, and if I like their blog, I might be more inclined to read some of their scholarship. I also hope that blogging does not replace scholarship or try to become too much like scholarship. Blogging is a different kind of writing than a law review article or book. At its best, blogging is a kind of smart punditry, an idea concisely stated to launch or provoke a discussion. I see scholarship as something different -- where I work out ideas fully, where I aim to have more polish to my thoughts. In my scholarship, I don't want to rush out an idea; I want to let it bake for a little bit. Blogging is different – I can share ideas that are less well-baked and see how they do. It’s kind of like an audition before a play. On other occasions, I can explore issues in blog posts I might not want to write a full-length law review piece about. I see blog posts as a way to provoke an interesting discussion or to inject an interesting idea into a discussion or debate. They are not a way to develop a detailed and sustained scholarly argument; they are often too short and quickly written for that. I don't want to read a 20-page blog post with 100 footnotes. I want a spark, an insight, an idea, or a good discussion. So while I want more thoughtful and smart blog posts, I don't want to see blog posts aspire too much toward becoming scholarship. So in the end, I’m not sure if we should be talking about the reputation of blogging in general. There will be good bloggers and bad bloggers. Some blogs will get a good reputation because they have good content. And people who want access to the best blog posts will go to the blogs that are highly respected for their good content. Finally, there are some other benefits that blogging brings to one’s academic career. Through blogging, I’ve met a number of other academics whom I wouldn’t have met otherwise. Blogging has allowed me to think about some issues that I might not have thought about otherwise. These were issues where I wasn’t going to write an article about anytime soon, but I had an idea about that I wanted to flesh out to a limited degree. Blogging has enabled me, when I’m focusing heavily on the papers or books I’m working on, to avoid neglecting issues that I should be keeping up with or at least thinking about to some degree. These benefits don’t readily fit on a resume or on a tenure application, but they are benefits that can assist in one’s development as a scholar. Brian Leiter (law/philosophy, Texas) has created a spin-off of his popular blog, The Leiter Reports. The new blog is called Leiter's Law School Reports, and it will focus on law school happenings, such as lateral movement in the academy, visits, legal scholarship, and more. Previously this material was on The Leiter Reports; now it has its own separate blog. Leiter's law school news is definitely interesting reading. Leiter gets his information on lateral offers and visits so fast that he probably knows it before you do! So check out his site and find out where you'll be teaching next year. As usual, I couldn't beat Orin Kerr at the VC to the punch in mentioning this, as he blogs with a speed and frequency that is mindboggling. He's probably linked to your post before you've even written it! At least in theory, the FCC is supposed to be protecting people from unwanted telemarketing calls. That supposedly was the purpose behind the Do Not Call List, where people could sign up their phone numbers so that they wouldn't be pestered by telemarketers. But the FCC has now become friendly with the telemarketers, and together, they're dreaming up new ways to make sure we get more unwanted phone calls. After all, we love being disturbed during dinner, and the FCC wouldn't want to deny us this simple pleasure in life. The FCC is attempting to issue a rulemaking that will interpret the Telephone Consumer Protection Act (TCPA) -- the law giving the FCC the authority to establish the Do Not Call List -- to preempt state anti-telemarketing laws. Chris Hoofnagle of EPIC West has written comments opposing the preemption rule. Several U.S. Senators have also written a letter opposing preemption. 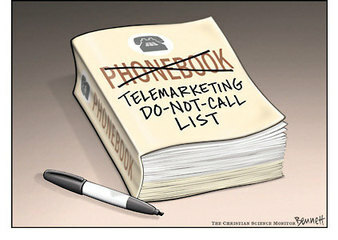 If there's already a federal Do Not Call List, why would telemarketers care to preempt state laws? The reason is that there's a big loophole in the Do Not Call List -- it exempts calls when there's an "established business relationship." That means that any merchant or company you do business with can pester you telephonically and be exempt from the Do Not Call restrictions. Think of all the businesses you've done business with, and that's a big exception. Some state anti-telemarketing laws don't have this loophole, and that's why telemarketers want these state laws preempted. So thanks, FCC, for helping telemarkers rather than consumers. With an agency like the FCC, who needs enemies? Twenty-eight percent of victims have been unsuccessful in restoring their reputations, despite trying for more than a year on average, the Nationwide Mutual Insurance said in a report released Tuesday. The survey, which polled close to 1,100 victims, indicated that people spend an average of 81 hours working to resolve their cases. "The survey shows that recovering from identity theft can be difficult, costly and stressful, but what is most alarming is that despite the time, money and personal duress victims go through, resolution is not always achieved," Kirk Herath, an associate general counsel at Nationwide Mutual, said in a statement. More than half of all victims discovered the identity fraud themselves after noticing fraudulent credit card charges or withdrawn funds, the report indicated. It took respondents an average of five-and-a-half months after the first incident to discover the crime. Just 17 percent were notified by a creditor or bank of suspicious activity on their account. The average sum of charges made to victims' accounts as a result of identity theft was $3,968, according to the survey. While most respondents were not held liable for the charges, 16 percent report that they had to shoulder some or all of the cost. Forty percent of respondents listed police, banks or credit issuers as difficult to work with when attempting to resolve the problem. . . . In short, our information infrastructure is tremendously vulnerable to identity thieves and it is also not very good at helping victims of identity theft clean up the mess. So there are problems in prevention and problems in redress. Needless to say, that's not a pretty picture. The strips refer to Rove, the White House deputy chief of staff, as "Turd Blossom." . . . The term is said to be one of several nicknames Bush uses for Rove, one of his closest allies and who is widely credited for Bush's election in 2000 and re-election in 2004. The mainstream U.S. media have rarely mentioned the nickname, but it has gained traction in the international press and on the Internet. Since when is “turd” is a four-letter word? I guess since always, but now in more ways than one. I can think of many terms for Karl Rove, and “Turd Blossom” is much nicer than any of them. It is another big waste of money and time, as well as a needless invasion of civil liberties -- all for a cosmetic security benefit. There are 4.5 million passengers each day on the NYC subways. What good could a few random checks do? The odds of the police finding the terrorist with a bomb this way are about as good as the odds of being hit by lightning. I doubt it will have much of a deterrent effect either. Dave argues that I’m “underestimating the effect of random searches on public safety.” I am not much of an expert in behavioral law and economics and deterrence, so I’m straying far away from my turf. But I’ll try my best to defend the territory I’ve wandered onto. Dave argues: “Terrorists are notoriously risk averse - they obey the law punctiliously until they attack. Thus, even a relatively minor risk of being caught will act as a very large deterrent, forcing terrorists to find other paths.” Really? Since when are terrorists risk adverse? Anybody willing to blow oneself up in the process of committing his or her crime is hardly risk adverse. And I just don’t see the relevance of the fact that terrorists obey the law prior to engaging in terrorism. However, suppose Dave were correct and the terrorists would “find other paths.” There are so many other targets that are even more dangerous and damaging. So we close off one target but leave the rest unguarded. Are we really any safer? Dave also contends that if the police vary the number of searches, it will make it “hard for terrorists to intelligently evaluate the likelihood of being stopped on any given trip.” But unless the number of searches were really great in proportion to the number of subway riders (4.5 million each day), the variation would be relatively small. Wouldn’t the terrorists think that if three or four of them tried to bomb the subway on a given day, probably all (or at least most) would get through without being searched? Dave argues that “there is a good argument that terrorists, subject to human behavioral tics, are likely to vastly overestimate the likelihood of being caught and therefore be more deterred than rational terrorists (what a contradiction in terms that is!) would be.” But Dave forgets that many terrorists are different from ordinary criminals in that terrorists are often on a suicide mission. They care about getting caught only because their mission might fail, not because of any potential legal sanction that might be imposed. If Dave is right, why on 9-11 did the terrorists try to use planes? Why not try some other means of terrorism? After all, planes involve a lot of security whereas other targets don’t. Wouldn’t the “risk-adverse” terrorist who might overestimate being caught attempt something else? Why did they go to flight school and expose themselves at many points to being detected when they could have tried something different? I’m certainly no expert on terrorist behavior, but I’m not very convinced by Dave’s theory. Dave says: “Will terrorists then move on to other targets of opportunity? Probably. But forcing them to do so would be a victory.” I’m not so sure. This depends upon what the other targets are. Is it a victory to stop a terrorist from bombing a subway car and killing 40 people so that the terrorist decides instead to blow up a building or mall killing thousands? Dave says I speak of two kinds of costs – law enforcement costs and civil liberties costs. For law enforcement costs, Dave argues that I neglect the other law enforcement benefits such as catching drug use and guns. True, the searching might help the police enforce other criminal laws, but I worry that the “special justifications” for fighting terrorism will then be used as a way to conduct general policing. The issue is whether we want ordinary crime policed at the same degree of invasiveness as terrorism. The civil liberties costs are high, which Dave admits. There are also other costs as well, such as inconvenience and hassle, something which New Yorkers don’t like very much. Frankly, I wonder how long New Yorkers will be willing to put up with these searches. Now, of course, let’s assume that the searches are not done using some kind of racial profiling – that they truly are random. If they’re not, then we need to address the profiling issue, which involves another cost Dave isn’t accounting for. Finally, I’m a bit confused by Dave’s example. He uses a model of 1000 random searches per day, and calculates a “7% chance of being searched over the course of a year of weekdays.” I don’t know enough to say whether his rough calculations are correct, but I question the basic underlying assumption. Why look over the course of a year? Doesn’t this assume that a person rides the subway each and every day? Are terrorists likely to ride regularly each day and always be transporting materials for their plot on the subway each time? Dave makes his arguments with humility, admitting that many of his points are made based on assumptions and models of behavior that he’s not entirely sure are correct. My arguments are made with a similar humility. I’m speculating a lot and am resting on a number of assumptions too. There is one argument Dave doesn’t raise against my position that is worth thinking about. He might contend that even if I’m right that the searching provides mostly a “cosmetic” benefit, is there still a benefit worth considering? If a cosmetic but ineffective security measure makes people feel better, doesn’t making people feel better have value? So if Security Measure X is much less effective and more costly than Security Measure Y, but X makes people feel much better, to what extent should this attribute weigh in the balance? But even if we can placate people based on false perceptions, should we? Since so much has been said about Supreme Court nominee Judge Roberts, I thought I might as well get my two cents out there. Over at Balkinization, I argue that we can only speculate extremely weakly about Judge Roberts. There just isn't a lot to go on, so we're grasping for straws . 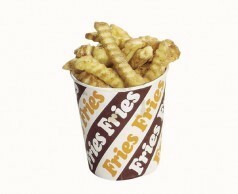 . . or French fries, as Kim Scheppele, my Balkinization co-blogger, looks to. In the end, I suggest that we just don't have enough to go on, and that perhaps the only thing we can be certain of is that the Bush Administration did its homework. Google Maps, which allows you to see your home and neighborhood from satellite imagery, has now gone to the moon. 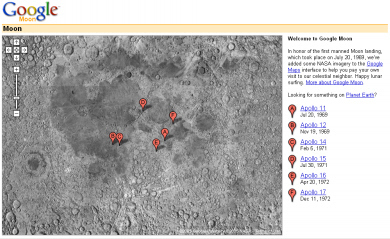 Google Moon allows you to explore the moon's surface. So if you thought you could get some privacy by escaping to the moon, better start thinking of another plan. Anyway, this website is quite fun, as is Google Maps, where you can check out what your rooftop looks like from above. Humorously, Google Maps obscures the Capitol, so that it appears all blurry. That must really provide tons of added security! UPDATE: I just learned that the moon really is made of cheese. Try zooming up really close, and you'll see. So it's really true after all! In the academic setting, this ignorance of the prior literature would be a bad thing, a sign of academic negligence. What about in blogging, particularly by an academic blogger? I think a similar norm should apply, though applied differently in this different setting. Applying this norm in both settings helps everybody economize on time. . . . The norm can be policed by the usual reputational and shaming incentives.
. . . [T]his kind of norm really would impose serious supply costs on blogging, and would therefore cause a lot of people to blog a lot less. I used to be hesitant to respond to any post until I had read its entire comment-thread. . . . A lot of blogs are, quite frankly, not very good, and if posting about X means I am ethically obligated to read them, I am simply not going to bother.
. . . [T]he value of this sort of pre-emption check is dubious. If somebody else was a blogger's original source or inspiration for a story, that is one thing, but if somebody has merely managed to produce a similar version of the same post, who cares? Or, more precisely, how many people care, and why can't they go use Technorati and an RSS reader themselves if they do? . . . .
Ribstein's proposed pre-emption norm will lead to decreased blogging and wasted time by those who follow it, and decrease the quality and filtering ability of blog posts, all for dubious, if any, gain. It should not be followed or encouraged. Agreed. There is very little to be gained by Ribstein's proposal and quite a lot to be lost. Blog posts are not academic articles. They are half-baked ideas dashed off very quickly. In contrast, law review articles are half-baked ideas published slowly. The key difference is that if blog posts required extensive prior research and reading, then they'd take much longer to produce. I already have sacrificed, in the name of blogging, numerous hours in the day that I never had. If I had to go out and search the blogosphere for everything about an issue I post about, blogging would take even more time than I already don't have. There are, by some estimates, between 10 million to 30 million blogs and potentially up to nearly a million new blog posts each day. Have fun trying to do a preemption check! Anyway, Will does a great job in responding to Ribstein's proposal, so check out his post. Police will begin random searches of bags and packages carried by people entering city subways, officials announced Thursday after a new series of bomb attacks in London. Passengers carrying bags will be selected at random before they pass through turnstiles, and those who refuse to be searched won't be allowed to ride, Police Commissioner Raymond Kelly said. "We just live in a world where, sadly, these kinds of security measures are necessary," Mayor Michael Bloomberg said. "Are they intrusive? Yes, a little bit. But we are trying to find that right balance." The announcement drew complaints from civil liberties advocates in a city where an estimated 4.5 million passengers ride the subway on an average weekday. The system has more than 468 stations — most with multiple entrances — and the flood of commuters hurrying in and out of stations during rush hour can be overwhelming. Kelly stressed that officers posted at subway entrances would not engage in racial profiling, and that passengers are free to "turn around and leave." He also downplayed the possibility of bottlenecks at subway entrances. That makes me feel better -- people are just free to leave, so the searching is fine. I'm dashing this post off quickly, so I won't explore the legality of this. But regardless of the legal issues, this seems to me to be a very silly policy. It is another big waste of money and time, as well as a needless invasion of civil liberties -- all for a cosmetic security benefit. There are 4.5 million passengers each day on the NYC subways. What good could a few random checks do? The odds of the police finding the terrorist with a bomb this way are about as good as the odds of being hit by lightning. I doubt it will have much of a deterrent effect either. Kelly said passengers selected for searches will be approached by officers, who will ask them what they are carrying, and request them to open their bags. If an officer looking for explosives finds some other form of contraband, police said that person would be subject to arrest. Does this mean that if the police find illegal drugs that they will arrest people? It isn't clear what categories of "contraband" are included in this statement. A more effective strategy might be to use bomb sniffing dogs, as this would better prevent the police from conducting searches for drugs or things other than bombs. But even the use of dogs, with the sheer numbers of subway passengers, does not strike me as very effective either. Over at Balkinization, I've just posted some of my musings about substantive vs. structural arguments. I label arguments about judicial review, federalism, and the filibuster rule as structural ones. I argue that liberals and convervatives have often flip-flopped on these issues, and that the commitment to structural positions is often only skin deep. Structural disagreements are often just covering up disputes about substantive ideology that people are having difficulty discussing. Anyway, if you want to read more of my pondering about the issue, check it out at Balkinization.